Marie won a bursary to the Melbourne University Conservatorium. Her first solo performance was with the Mont Albert Choral Society, the forerunner of the Victorian State Opera Company. After leaving school Marie became an assistant in a chemist’s shop in Hawthorn, during which time she took a chorus part in a stage show during her vacation, probably J C Williamson’s revival of Oklahoma!. In 1951 she trained with Mme Wielart in Collins Street, Melbourne, and later attended the Opera School of the National Theatre. An offer to sing solo in the National Theatre’s production of Verdi’s Aida at the Royal Command performance before King George VI, planned from 1953, soon followed. This performance was cancelled when the King died. Marie’s first major operatic role came almost immediately as Santuzza in Cavalleria Rusticana in 1952. In a nine-week season in 1953 in Melbourne, Collier took the part of Magda Sorel in Menotti’s The Consul. The next year she played the Venetian courtesan, Giulietta, in The Tales of Hoffman in the Royal Command Performance before H M Queen Elizabeth II at the Princess Theatre, Melbourne. After further training in Milan, Italy, Marie Collier’s international debut came in 1957 at Covent Garden, followed by debuts in South America (1961), USA (1962), Italy (1964), Germany (1969) and South Africa (1971). She made her first appearance in New York in the world premiere of David Levy’s Mourning Becomes Electra at the Metropolitan in 1967 ‘and thereafter remained a favourite of New Yorkers until her death’. Perhaps the role which brought her most recognition came when she replaced Maria Callas in Tosca at Covent Garden in 1965; following this performance the Daily Telegraph reviewer wrote of Miss Collier’s ‘voluminous, mellifluous top notes, delivered every time with absolute reliability’. 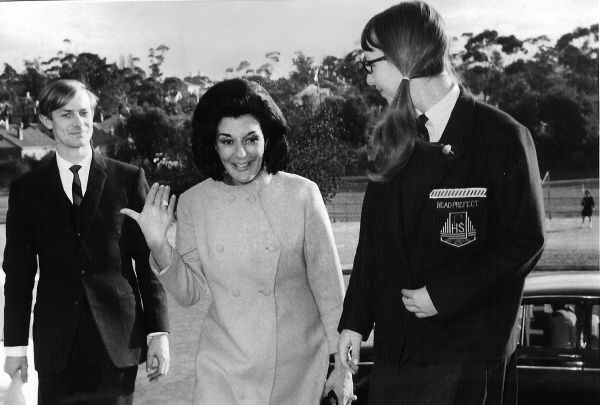 Collier returned to Australia for a number of appearances, the first at the Adelaide Festival in 1964 when she played in Sir William Walton’s Troilus and Cressida and again at the same festival in 1968 when she appeared in a local production of Tosca with Tito Gobbi and Donald Smith. Following her death, The Times’ obituary notices referred to her ‘vibrant, lustrous voice’ and her ‘flamboyant, committed personality’. 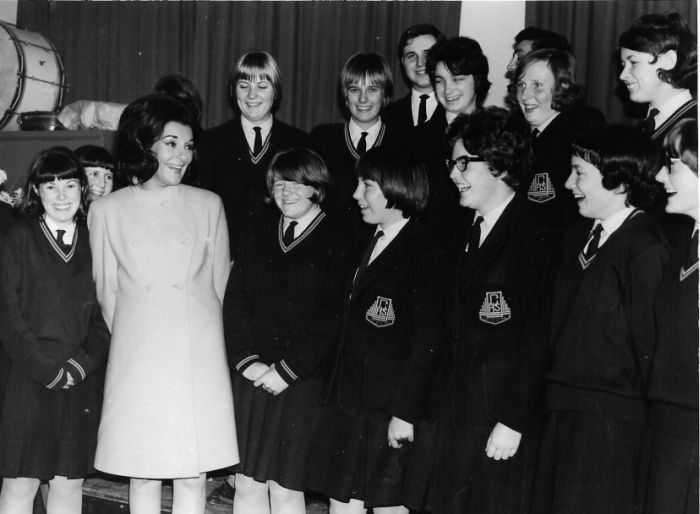 During the first term, one of Camberwell High’s most distinguished ex-pupils – the world-famous opera singer Marie Collier – visited the school. Miss Collier was a foundation member of the school. She recalled that when she was here, there was no lawn, playing fields or trees – just mud everywhere. Miss Collier’s original interest was in science, but after gaining insufficient marks in this, her interest turned to literature and music. Miss Collier only took up singing by accident (literally). She was learning the piano, but after breaking her arm, she couldn’t continue with it, so she started to learn singing to retain an interest in music. During holidays from work, she took a job in the chorus of a stage show. From that came offers of solo parts and the start of a singing career. Miss Collier said that she liked all types of music, and that for relaxation, she liked discotheques. She told the senior students who met her, that she hoped that they would become opera-lovers and that they would never have a closed mind about music.